The Carter Center’s Mental Health work in Liberia aims to build a sustainable mental health system through workforce development, policy, and anti-stigma programming in partnership with the Liberian government. Working with the Liberian government, The Carter Center has helped to create a corps of over 240 locally trained and credentialed mental health clinicians now serving all 15 counties in the country. In 2015, The Carter Center started a three-year initiative to address the psychological effects of Liberia's Ebola crisis and to promote psychosocial health in the country. 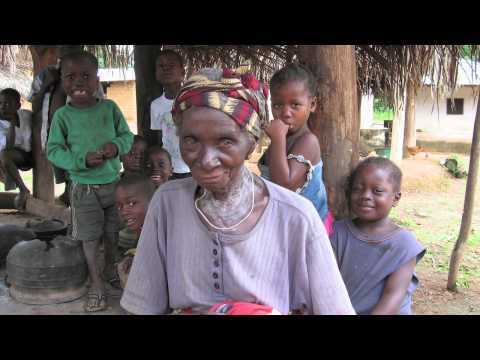 The project, "Supporting Psychosocial Health and Resilience in Liberia," is funded by Japan through the Japanese Social Development Fund, a trust fund administered by the World Bank. The Center responds to the intermediate psychosocial impact of Ebola by educating Ebola first responders on self-care and stress relief; training health and social workers in the World Health Organization Mental Health Gap Action Program, family psychoeducation, psychological first aid; conducting community healing dialogues with Ebola-affected communities; and supporting the creation of peer support groups for persons with mental illness and epilepsy. Through the Margibi and Montserrado County health teams, over 3,000 individuals have received mental health and psychosocial services in more than 45 facilities. The Center also partners with the Harvard Program on Refugee Trauma and the Liberian Association of Psychosocial Services to provide training and capacity-building on women’s health. Through this work, 300 women in rural communities have received training in the use and dissemination of a women’s health toolkit. Complementing this project, The Carter Center and the Ministry of Health, Ministry of Gender, and Ministry of Education, and their local counterparts are further developing child and adolescent mental health services through funding from the UBS Optimus Foundation. The "Improving Child and Adolescent Mental Health in Liberia" project increases the number of school-based clinics, as well as the number of health and social welfare workers trained to assess, treat, and manage childhood social, emotional, and behavioral problems. It also trains teachers and school administrators to identify and refer children and adolescents with social, emotional, and behavioral problems; promote positive development; and support learning. Finally, The Carter Center works with Liberian institutions responsible for ongoing training, policy, and anti-stigma efforts. By the end of 2018, as a result of the Center’s work with its partners, particularly The Liberia Board of Nursing & Midwifery and the Liberia National Physician Assistants’ Association, mental health training will be fully integrated into Liberia's national curriculum for nursing schools, and the training of a specialized mental health workforce will be led by Liberia's Ministry of Health. The psychological impact of more than a decade of civil conflict, which ended in 2003, has contributed to a mental health crisis in Liberia that has been intensified by misconceptions, stigma, and the resulting discrimination surrounding mental illnesses. The Ebola outbreak exacerbated mental health problems and sharply exposed the impacts of the shortage of mental health care training for health professionals and inadequate supplies of necessary medications. In 2010, building upon nearly two decades of fostering peace and democracy in Liberia, The Carter Center Mental Health Program launched an initiative to help create a sustainable mental health system in Liberia. The initiative has focused on training a mental health workforce, assisting Liberia's Ministry of Health in implementing the national mental health policy and plan, as well as reducing the stigma surrounding mental illnesses and empowering family caregivers. The Carter Center and its partners trained and graduated over 240 mental health clinicians, over 80 of whom have a specialty in children and adolescents. The Center's partnership with Liberia's Ministry of Health and the Liberian Board of Nursing and Midwifery also produced an accreditation exam for graduating mental health clinicians. These accredited clinicians now work throughout the country in all sectors of health service delivery, and each of Liberia's 15 counties has at least three mental health clinicians. Some alumni also are educators who return to classrooms to ensure the next generation of primary care workers will be better prepared to deliver mental health care. Others lead policy and strategy development and even head up health care institutions such as World Health Organization, the Liberian Ministry of Health, and SOS Children’s Villages. The Carter Center has provided policy support to Liberia's Ministry of Health and its mental health agenda. In 2015, the MOH developed a new five-year policy and strategic plan. The Center was instrumental in facilitating the drafting of a bill for national mental health legislation. The bill, passed and signed by the president in 2017, protects and promotes the human rights of individuals living with mental illnesses and provides a policy platform for future mental health initiatives. With support from Liberian partners, The Carter Center will support the bill's implementation. Furthermore, The Carter Center responded to calls from the Ministry of Health in the 2009 National Mental Health Policy and helped establish the Liberian Center for Outcomes Research in Mental Health, an independent research organization focused on integrating effective interventions into routine mental health care practice, clinical epidemiology, and community-based participatory research and evaluation. To reduce the stigma associated with mental illnesses and empower family caregivers, The Carter Center has conducted anti-stigma training courses for a wide range of audiences. The Carter Center has trained pharmacists (51), journalists (76), and law enforcement officers (37), faith and traditional leaders (235), and users of mental health services and caregivers (162) on anti-stigma knowledge, attitudes, and practices. 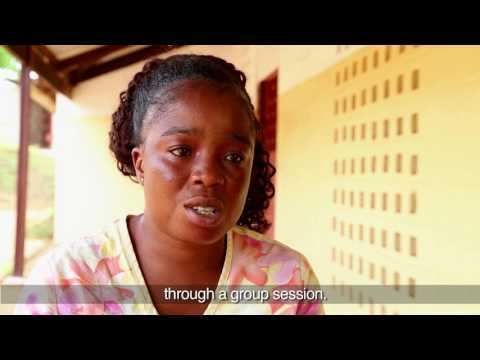 Anti-stigma efforts have led to the development of Liberia’s first consumer advocacy group. This group, Cultivation for Users' Hope, has worked with The Carter Center in training and educating journalists, pharmacists, law enforcement officers, and mental health clinicians about the rights and experiences of people living with mental illnesses.